They said it couldn’t be done! It’s been a momentous couple of weeks at the Desert Lighthouse as this dramatic 7-year journey finally reaches its crescendo. 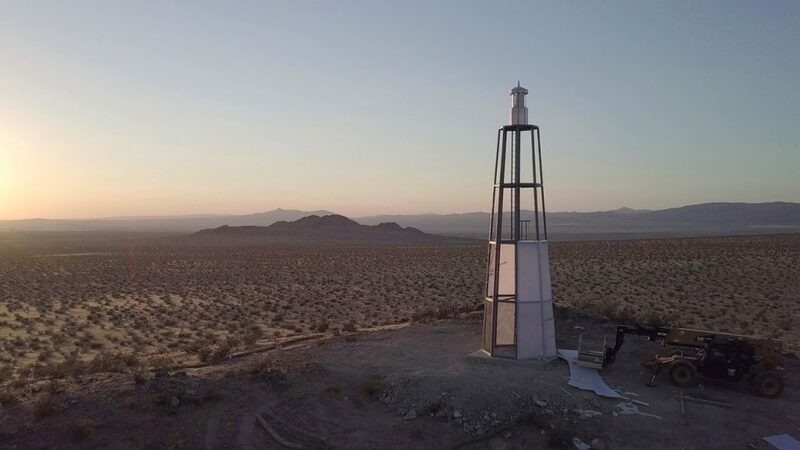 After three separate crane consortiums refused to follow through — claiming that the task was impossible — the lighthouse frame was finally put in place on it’s Mojave Desert hilltop last Friday! 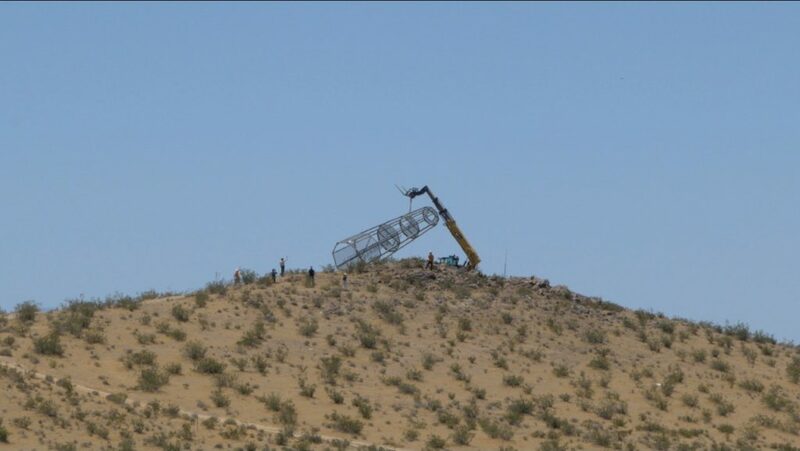 The top section with the light and lens was added on May 23rd and the siding started to go up, though strong winds and high temperatures made the task difficult. The fencing is going up, the siding completed, and the electrical work will hopefully be completed for a June 10th launch event. Stay tuned for further details!